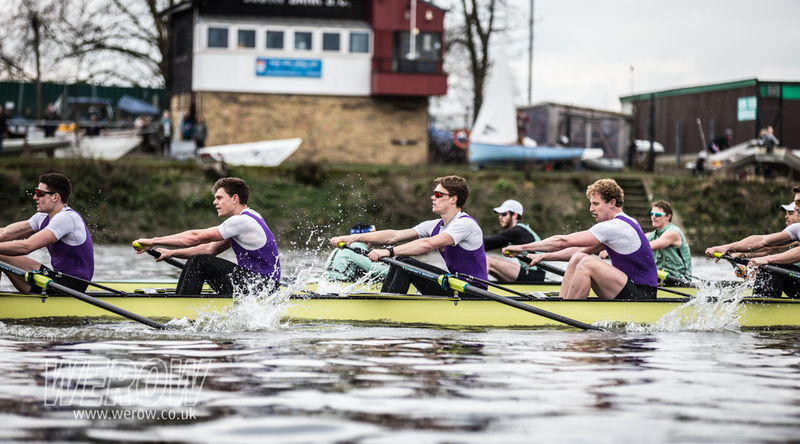 This weekend it was the turn of University of London to take on the Cambridge University crews in the lead-up to the Boat Race on March 24. 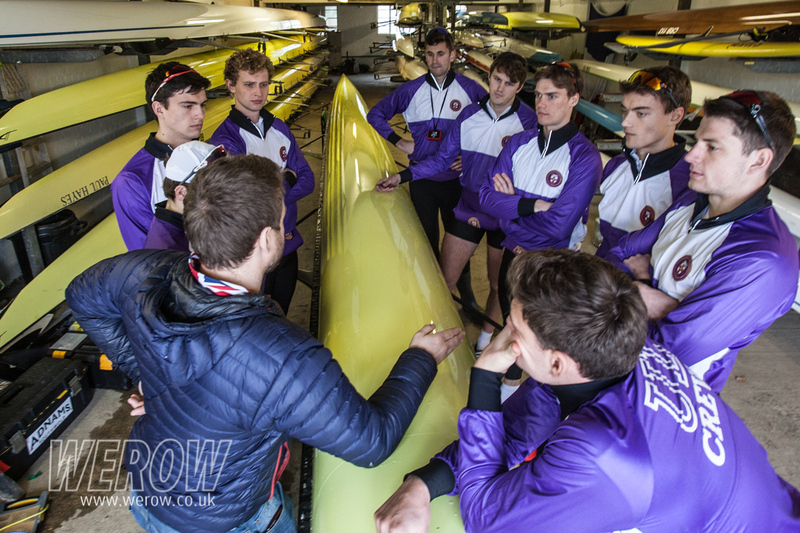 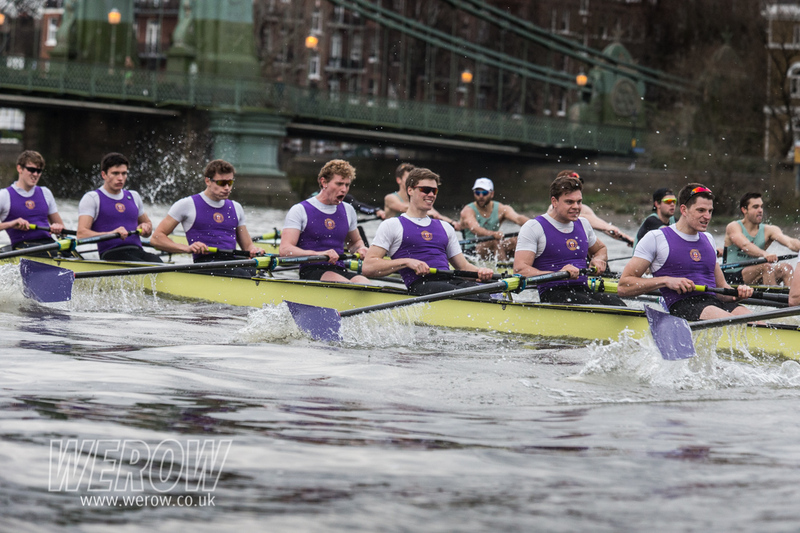 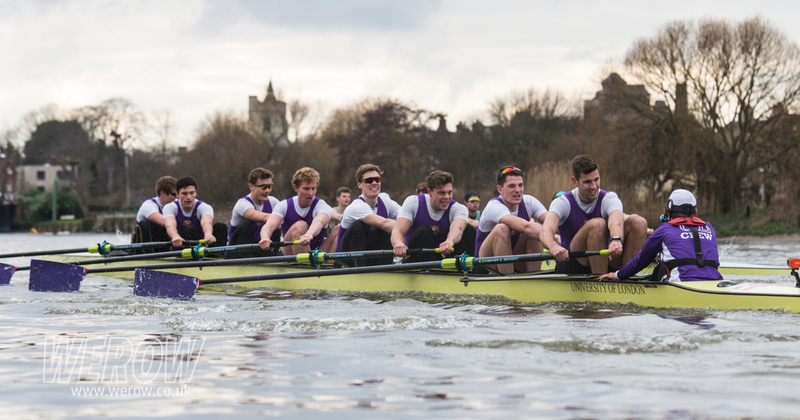 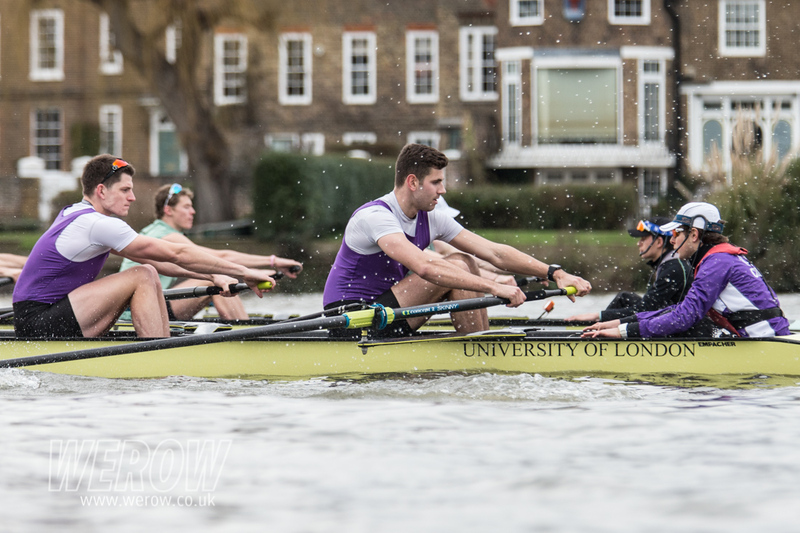 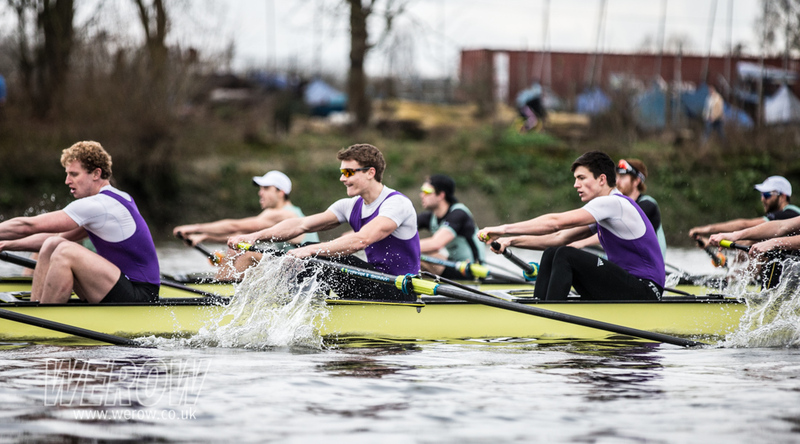 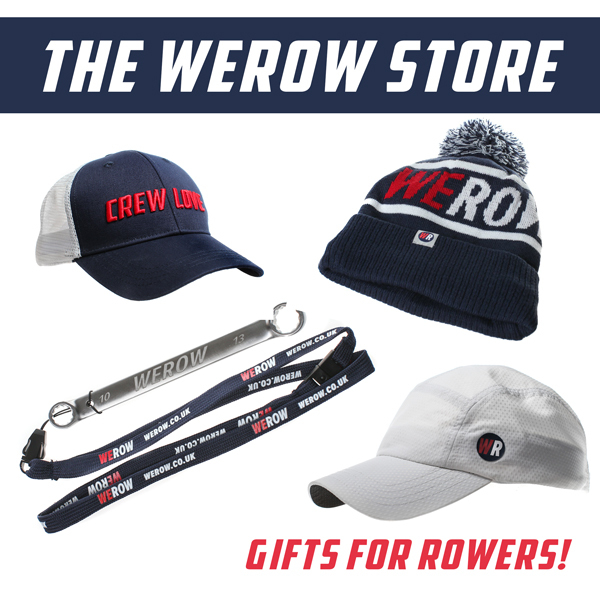 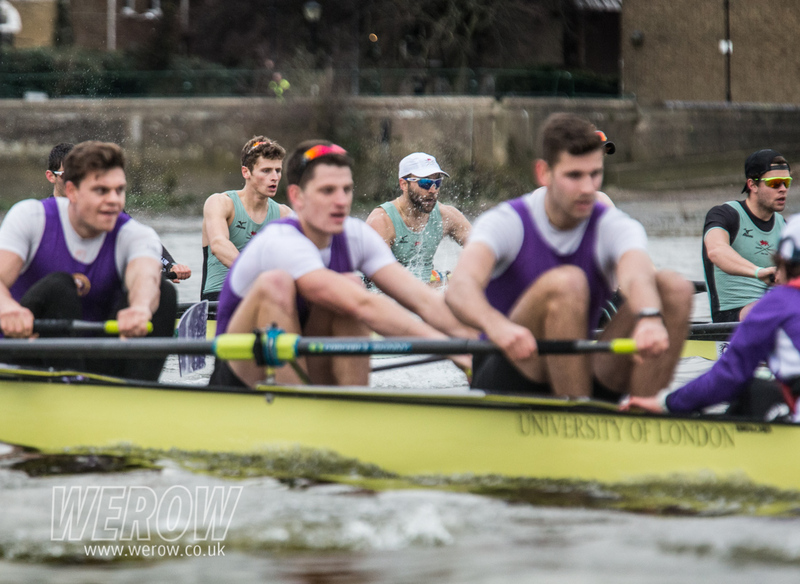 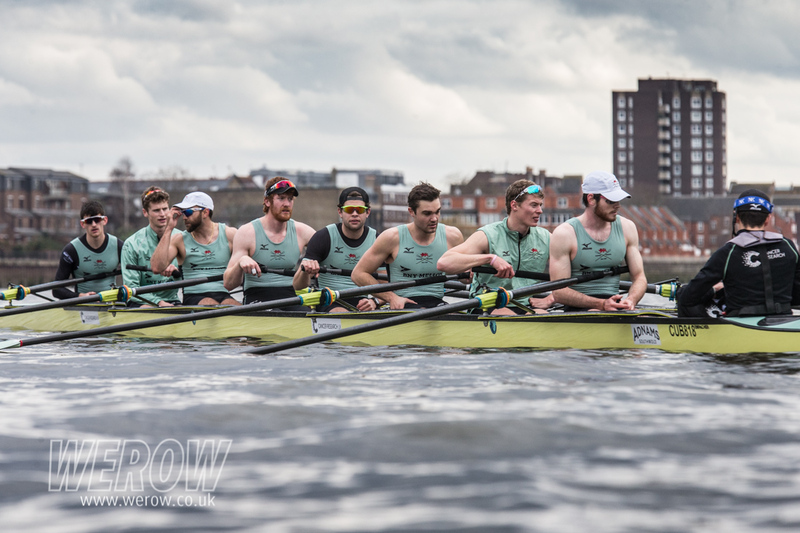 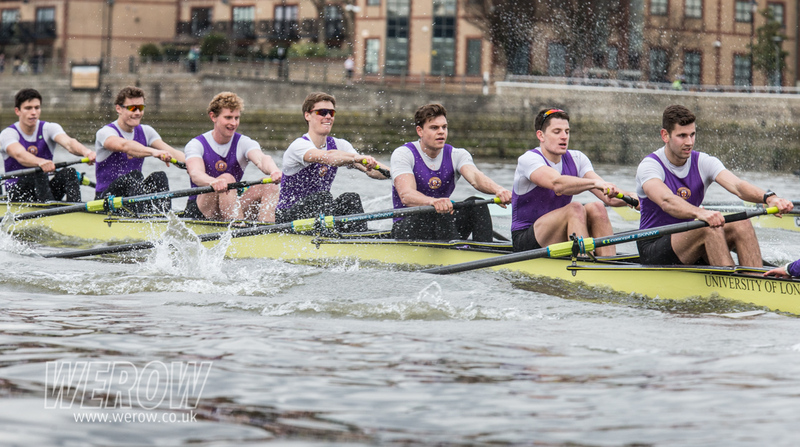 WEROW followed the University of London (UL) crew as they took on Cambridge University (CUBC) in a series of 3 pieces comprising roughly 7 minutes each, raced over the Championship Course from Putney Bridge to Chiswick Bridge. 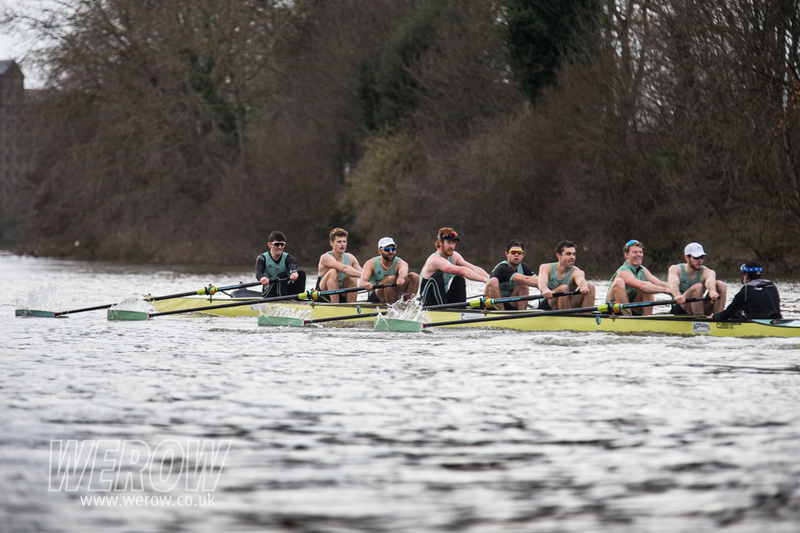 UL previously met the same CUBC crew at Quintin Head in January when they were beaten into second place by just under 6 seconds by the light blues. 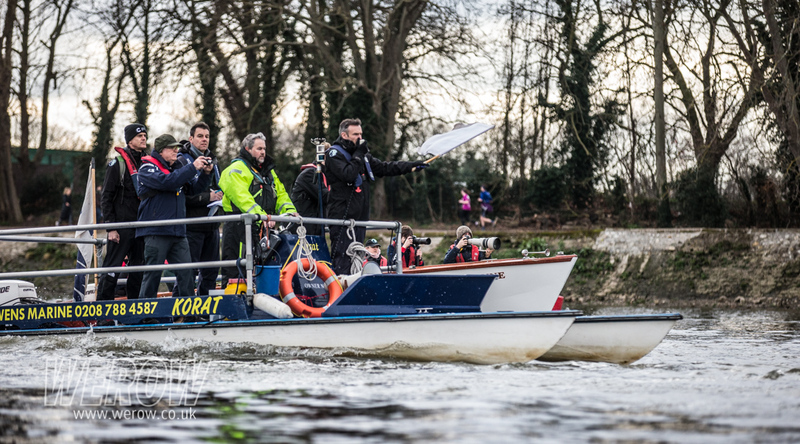 UL was forced to make a last minute substitution in the bows after Rich Clarke sustained an injury at the Third Assessment last weekend in the M2- with Chris Heywood, who was rowing at four in this boat. 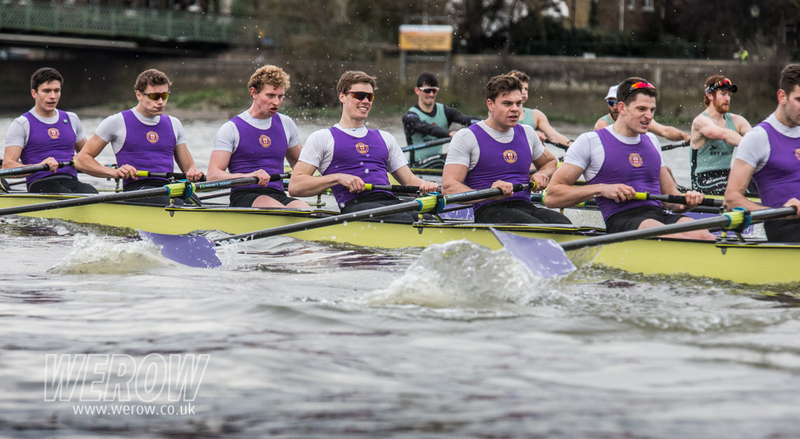 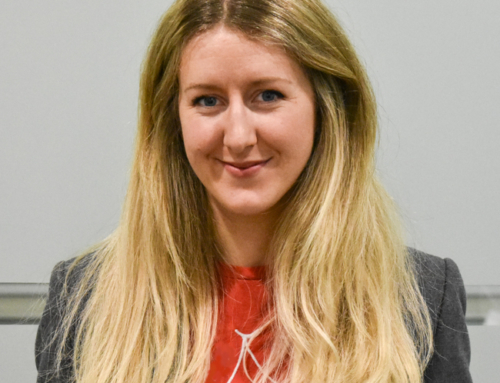 Alex Fisher, winner of the Princess Elizabeth and Thames Cup at Henley Royal Regatta with Abingdon School and Griffin, stepped in as an able replacement. 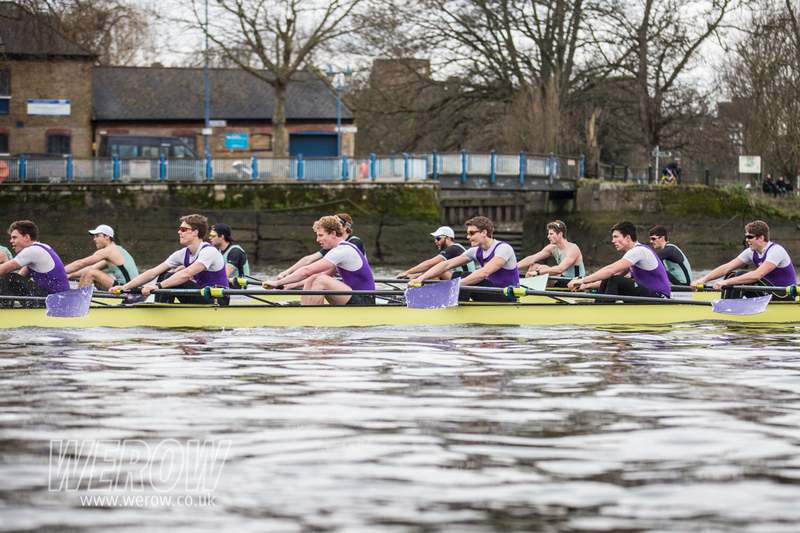 The first piece saw UL get a cracking start and the crews were level for the first half. 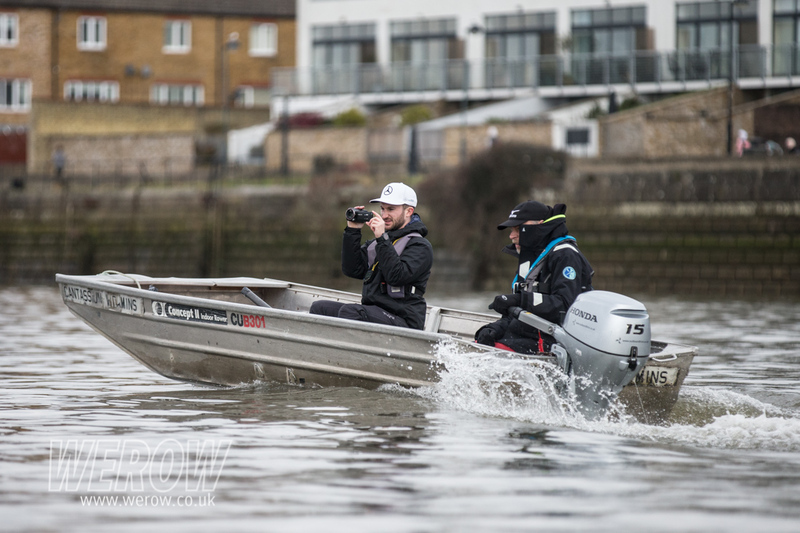 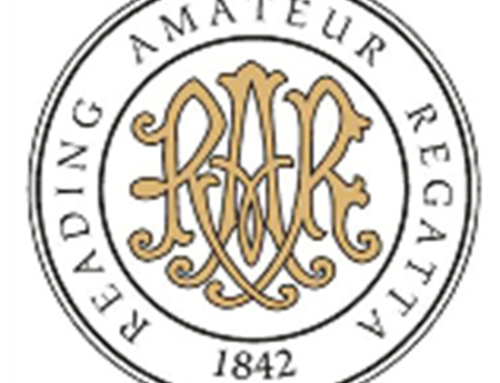 Umpire, Rob Clegg, who rowed for Oxford in the 1994, 1995 & 1996 Boat Races, had his work cut out as Ian Middleton, the UL and GB U23 M8+ cox in 2017, kept CUBC tight to the bank. 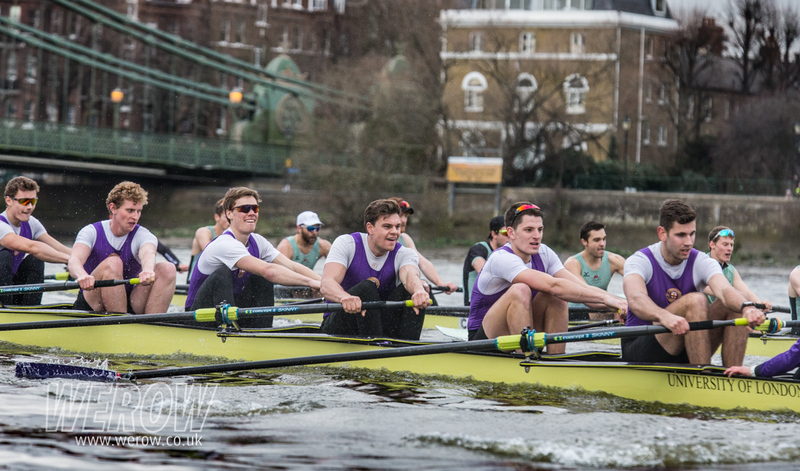 Despite the clash of blades, neither crews were flustered and CUBC pushed ahead and passing Fulham, the light blues were ahead. 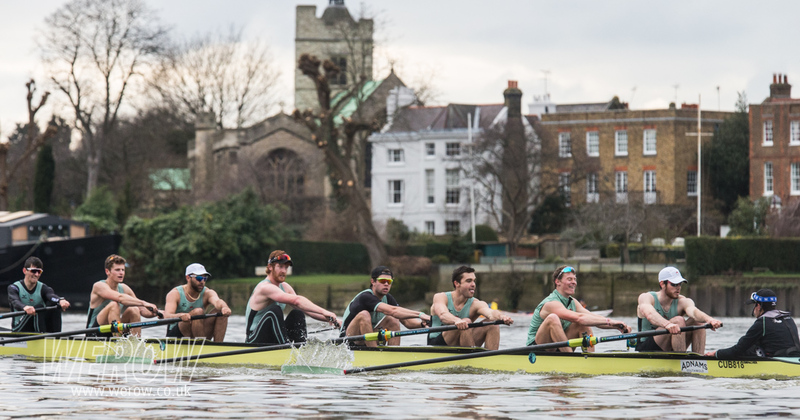 By Harrods Depository CUBC had taken a three-length lead. 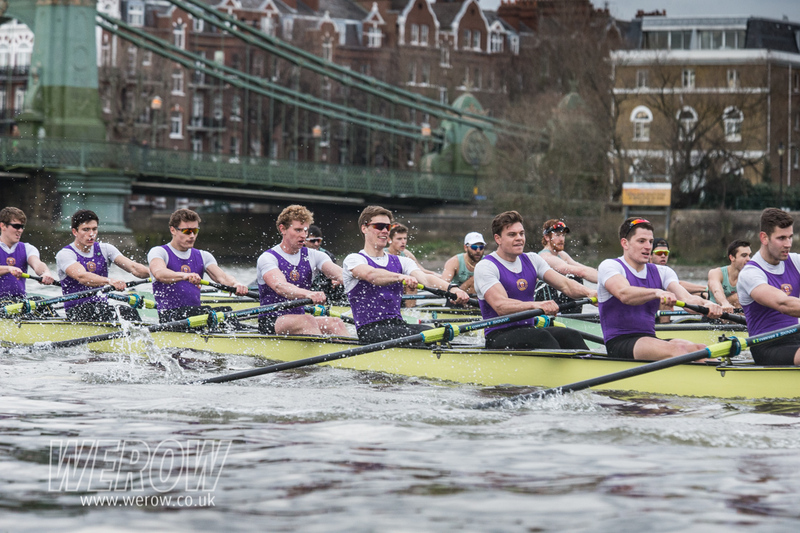 In the second piece from Harrods, the crews swapped stations and CUBC took an early lead on the Surrey side. 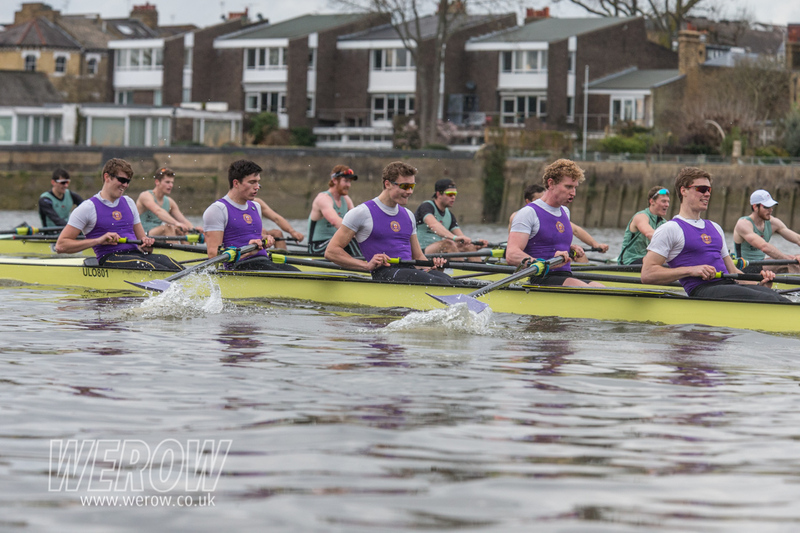 Notwithstanding having the advantage of the inside bend, UL slipped back half a length and Cambridge forged ahead. 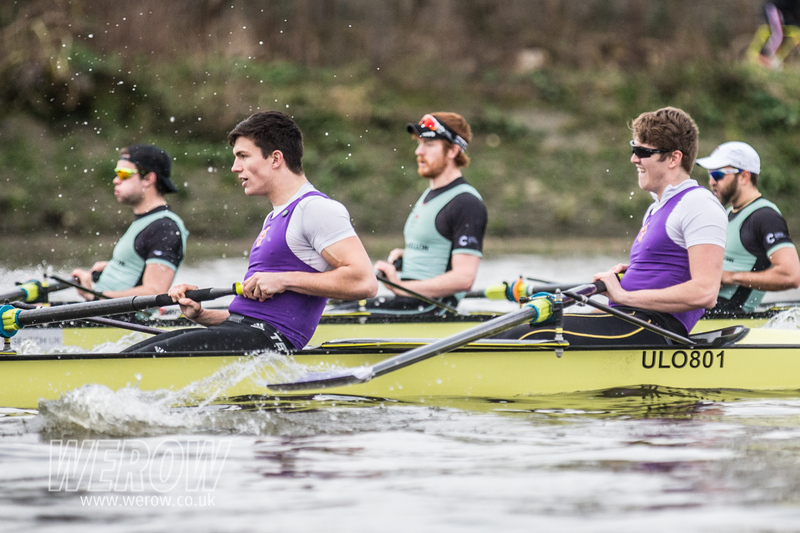 UL seemed to have let their shoulders drop until the middle of the piece and, despite trailing by some two lengths, found great form for the last section. 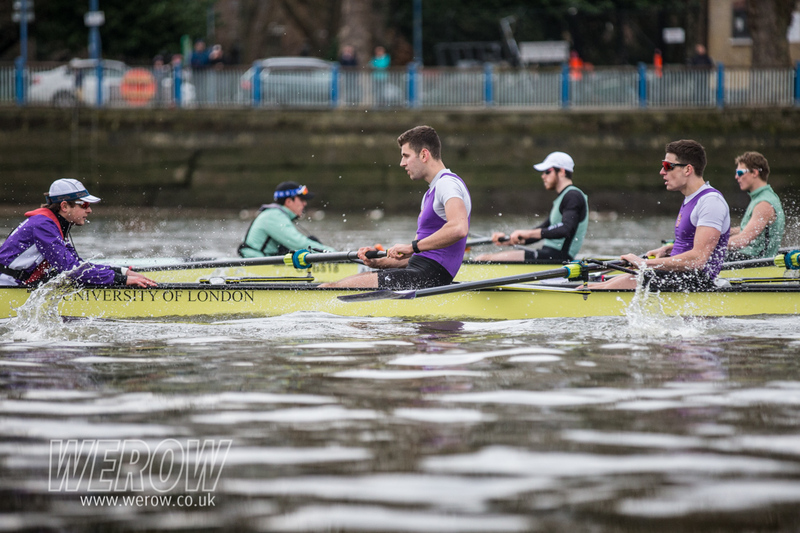 In the third piece from Chiswick Eyot, the fitness of the light blues, now only 4 weeks away from the Boat Race, showed and they powered away to a win at Chiswick Bridge. 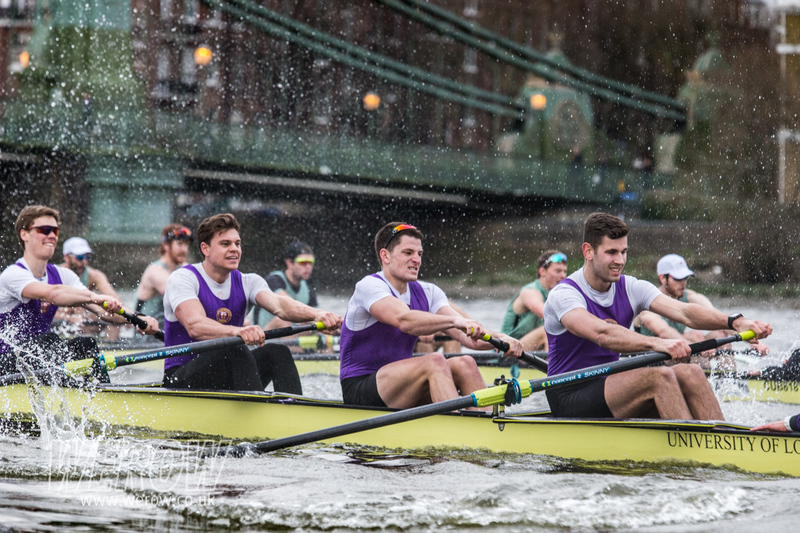 Overall CUBC remained in control through any patches of rough water and were unphased by the blade clashes. 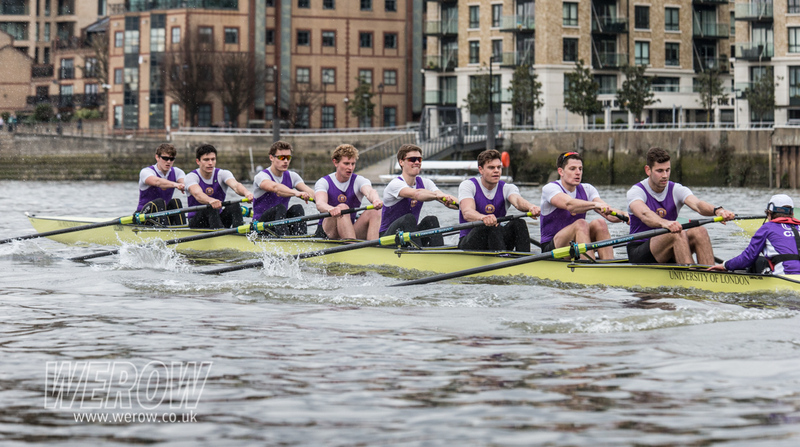 Rowing in a single-hulled, Empacher eight, they looked on great form. 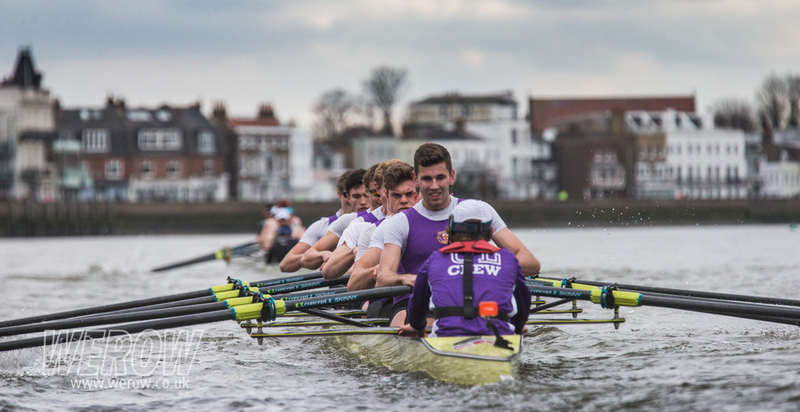 Both crews were impressive in their business-like approach to the pieces and with BUCS Head coming up this weekend, the match would have been great prep for UL. 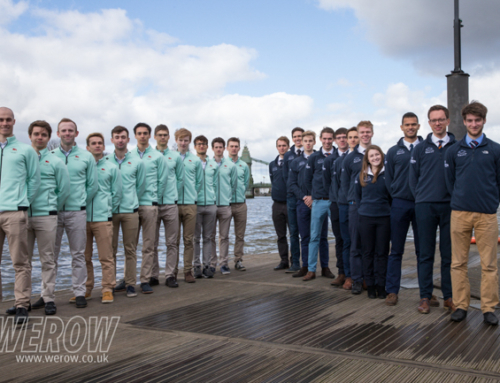 London University coaches, Phil Gray and Hugo Gulliver, told WEROW that they were pleased with the way the crew had got off the starts, but acknowledged that CUBC were tough competition whilst the UL crews were still at the beginning of their season. 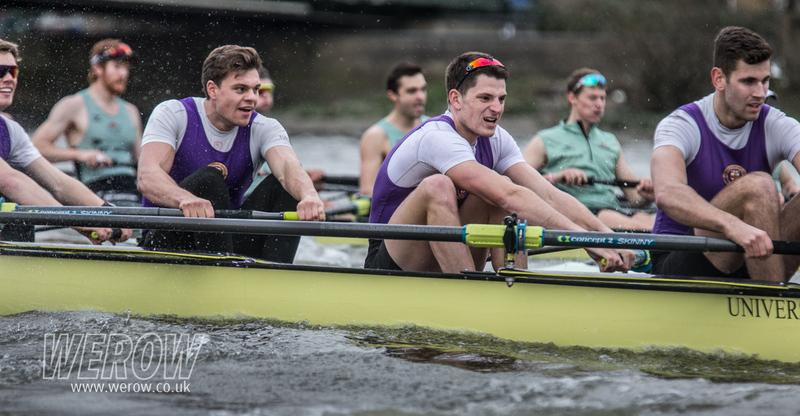 Cambridge coach, Steve Trapmore, gave nothing away in his interactions with the CUBC crew, but he must have been pleased with their maturity, evidence of just how well things are going at Cambridge for both senior crews. 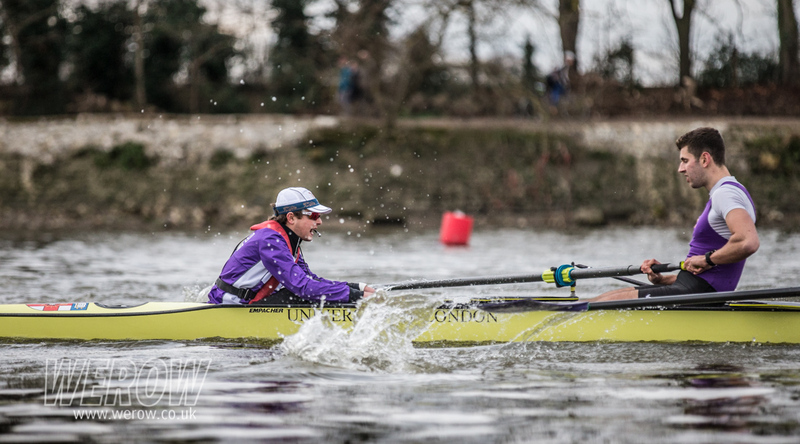 The women’s event on Saturday against UL, which we were unable to attend, ended in a win for CUWBC. 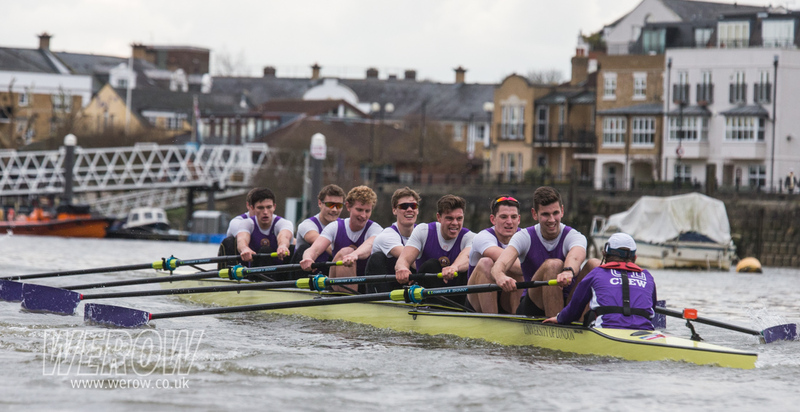 The second CUBC crew were racing Imperial College and they were equally as impressive as the first boat. 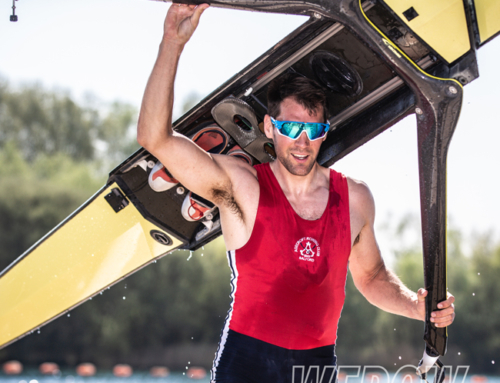 Trapmore, who won an Olympic Gold in the stroke seat for the GB M8+ in Sydney will be coaching the GB men’s squad at Caversham after the Boat Race and is looking like the man to beat all-around.